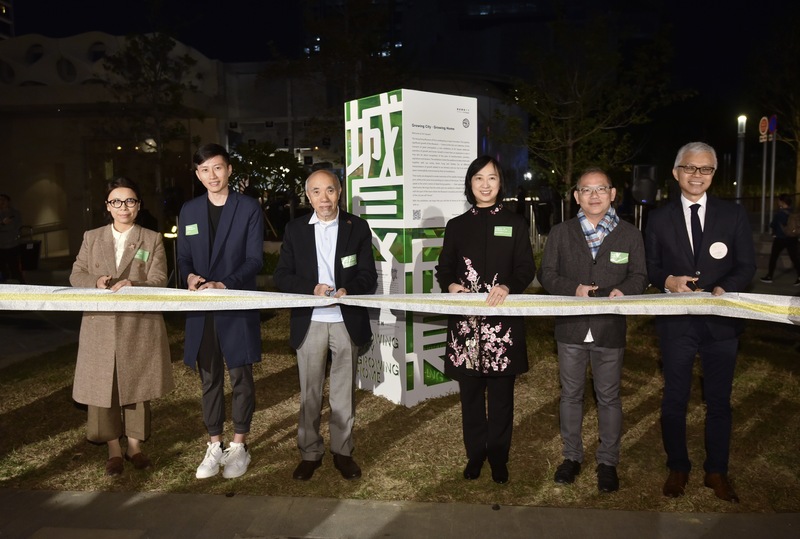 The "Growing City · Growing Home" exhibition, organised by the Hong Kong Museum of Art, opened today (December 8) in the Art Square at Salisbury Garden in Tsim Sha Tsui, displaying two outdoor art installations related to growth and home. The artworks are "Million Lights" by Kevin Fung and "Time Slip" by Stanley Siu, inviting viewers to rethink the different interpretations of the concept of growth at home and in the city with the artists, evoking memories of the rapidly changing cityscape and harbourscape while envisioning the future. By juxtaposing neon signs, construction cranes and old tenement buildings with monumental tree trunks, Kevin Fung's work "Million Lights" captures and reinterprets the ever-changing yet familiar Hong Kong street scenes, allowing visitors to reflect on the past, present and future of the city. The artwork "Time Slip" by Stanley Siu is inspired by the craftsmanship and design of Chinese wooden junks. The work attempts to merge the vanished imagery of home with today's cityscape by capturing the silhouette of the Chinese junks and presenting the negative spaces therein. The opening ceremony of the exhibition was held today. The officiating guests included the Director of Leisure and Cultural Services, Ms Michelle Li; the Chairman of the Art Sub-committee of the Museum Advisory Committee, Mr Vincent Lo; the Deputy Director of Leisure and Cultural Services (Culture), Dr Louis Ng; participating artists Kevin Fung and Stanley Siu; and the Museum Director of the Hong Kong Museum of Art, Miss Eve Tam. The exhibition will run until November next year. For details of the exhibition, please visit the museum's website at www.lcsd.gov.hk/CE/Museum/Arts/en_US/web/ma/program01b.html or call 2721 0116. 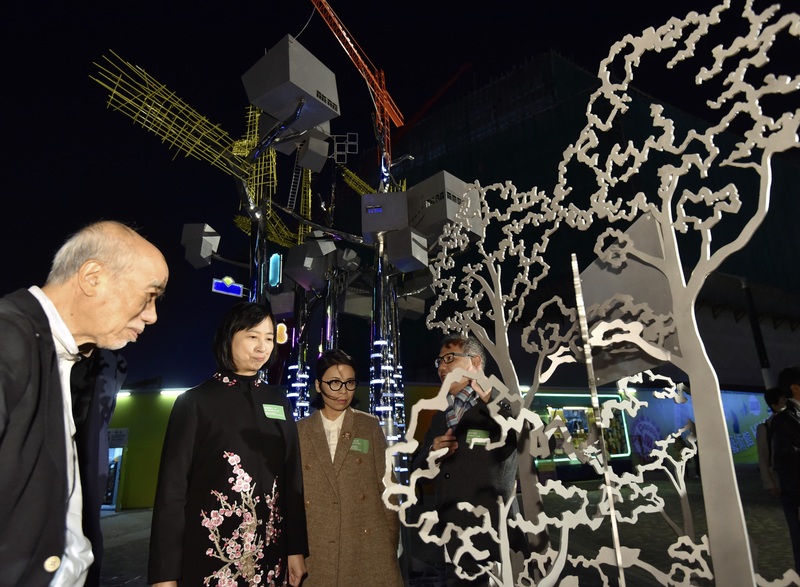 The outdoor artwork exhibition "Growing City．Growing Home" opened today (December 8) in the Art Square at Salisbury Garden in Tsim Sha Tsui. Officiating guests included (from left) the Museum Director of the Hong Kong Museum of Art, Miss Eve Tam; participating artist Stanley Siu; the Chairman of the Art Sub-committee of the Museum Advisory Committee, Mr Vincent Lo; the Director of Leisure and Cultural Services, Ms Michelle Li; participating artist Kevin Fung; and the Deputy Director of Leisure and Cultural Services (Culture), Dr Louis Ng. 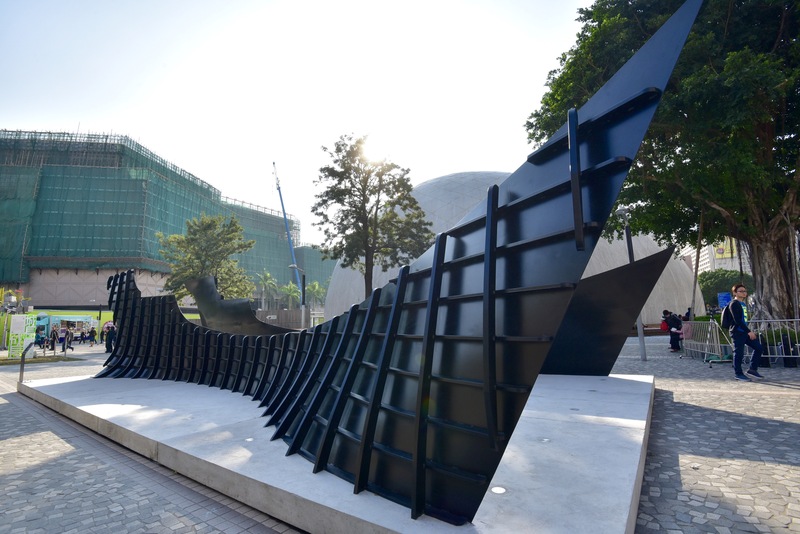 The outdoor artwork exhibition "Growing City．Growing Home" opened today (December 8) in the Art Square at Salisbury Garden in Tsim Sha Tsui. Photo shows officiating guests touring the exhibition (from left): the Chairman of the Art Sub-committee of the Museum Advisory Committee, Mr Vincent Lo; the Director of Leisure and Cultural Services, Ms Michelle Li; the Museum Director of the Hong Kong Museum of Art, Miss Eve Tam; and participating artist Kevin Fung. 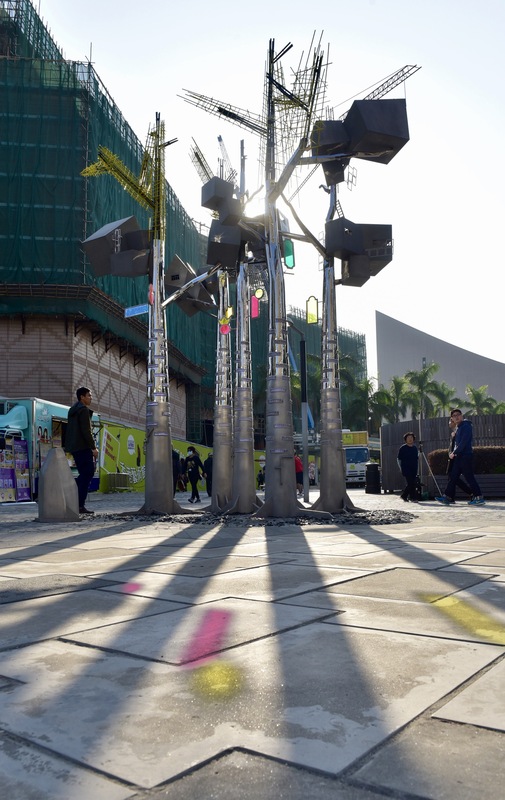 The outdoor artwork exhibition "Growing City．Growing Home" opened today (December 8) in the Art Square at Salisbury Garden in Tsim Sha Tsui. Photo shows artist Kevin Fung's work "Million Lights". The outdoor artwork exhibition "Growing City．Growing Home" opened today (December 8) in the Art Square at Salisbury Garden in Tsim Sha Tsui. Photo shows artist Stanley Siu's work "Time Slip".